There are two methods teams to can use to improve their roster: addition and subtraction. The majority of clubs have made very little additions (if any) this offseason. That includes the Toronto Blue Jays, whose front office has made a lot of subtractions, but very few additions. Whether it’s via free agency or trade, “addition” is the sexier method to bulk up a roster. Monster free agent contracts and blockbuster trades move the needle dramatically and generate the most buzz. But the often overlooked way to improve a team year-over-year? It’s the simple nature of attrition. Getting rid of dead weight off the roster; addition by subtraction. This became especially evident after reading this piece from Jays from the Couch. The crux of the article is a potential rebuild, but in the process, they made a salient point about why 2017 went south for the Blue Jays. It was due in part to bad seasons by traditionally productive players and an unusually high amount of playing time occupied by replacement-level players. In 2017, Jose Bautista, Kendrys Morales, Ryan Goins and Darwin Barney combined to play 579 games. Collectively, they were worth -2.6 Wins Above Replacement. If you’re looking for a quick summary of why the 2017 Toronto Blue Jays failed, this is it below. The numbers don’t lie; nearly half of the Blue Jays’ starting lineup in 2017 had a bad season. Throw in next-to-no production from the three-headed backup catcher monster, Chris Coghlan’s viral but ultimately forgettable stint as a Blue Jay, along with Bautista’s sudden and dramatic drop-off and Goins and Barney playing the bulk of the games up the middle and it’s no wonder the Jays finished in fourth place. That’s not to say guys like Bautista, Goins and Barney were single-handedly responsible for the Blue Jays’ downfall last year. Bautista’s case is pretty unique, but Goins and Barney had to play because the Blue Jays had nobody else left to play the middle infield. Goins and Barney combined to start 62% of the games at second base and 49% of the games at shortstop. With that in mind, you don’t even have to look at the Blue Jays record to know their season was a disaster. It gets back to the “addition by subtraction” mantra. By letting Bautista walk as a free agent and replacing him with Randal Grichuk (or maybe even Anthony Alford in the near future), the Blue Jays get a little bit better. By solidifying their middle infield depth with Yangervis Solarte and Aledmys Diaz, that means Goins and Barney won’t start the lion’s share of games at second base and shortstop … which makes the Blue Jays a little bit better. 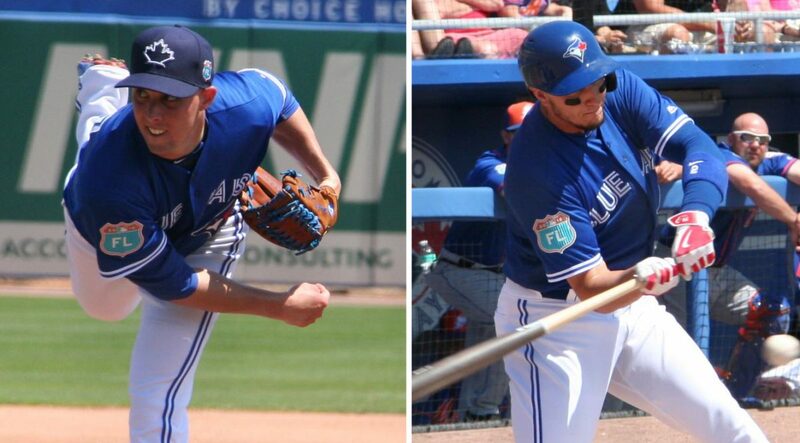 Bring back Josh Donaldson for *fingers crossed* more than 113 games and Aaron Sanchez for *non-blister fingers crossed* more than 8 starts and 36 innings and that makes the Blue Jays a little bit better. After the slew of shrewd moves by the Blue Jays’ front office, in essence, they’ve assured themselves at least replacement level production from their middle fielders and one outfield spot. Whatever combination of Solarte and Diaz along with Troy Tulowitzki and Devon Travis in theory should give the Blue Jays replacement level players at shortstop and second base. Whatever combination of Teoscar Hernandez, Curtis Granderson and Ezequiel Carrera along with Grichuk should assure the Blue Jays of one not-negative WAR spot in the outfield. That’s not to say everything will go right for the Blue Jays where everything went wrong for the team in 2017. Surely, several or their standout performers are due for some regression in 2018. 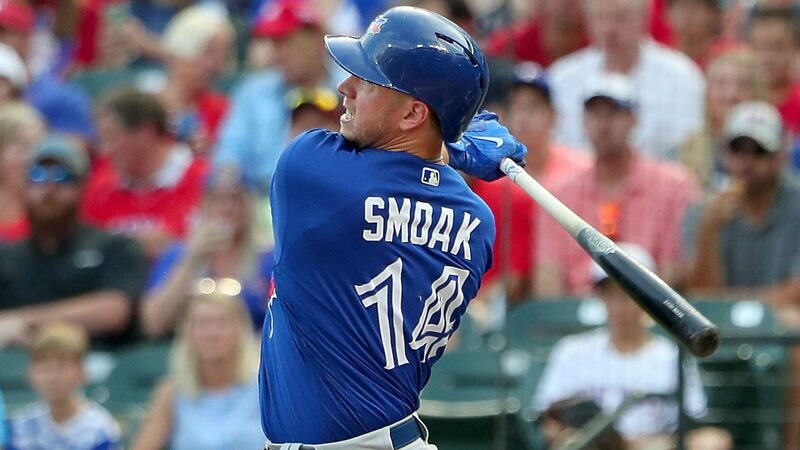 Justin Smoak probably won’t replicate his 38 home run season from one year ago, but projections forecast him to be close to a two-win player in 2018. Marcus Stroman may not be quite as dynamite as he was in 2017, but he’s expected to clear 200 innings for the third consecutive season and post a sub-four ERA in 2018. The potential drop-off in production from guys like Smoak and Stroman shouldn’t outweigh the potential upside of not carrying so many sub-par players on the roster this year. The Blue Jays still have work to do in order to cobble this team into a contender. By simply not bringing back several of their underperformers from last year, the Blue Jays are already poised to be better in 2018. What makes you think that this same FO will not dredge up players similar to Maile, Montero, Saltalamachia, Refsnyder, and Coghlan this year? This year’s roster is much better positioned to sustain injuries and dropoffs than last year. There really weren’t many position players they could pluck from the minors last year, which is why you saw Coghlan, Montero, Refsnyder et all pick up playing time. If somebody goes down to injury, the Jays now have 2 capable backup middle infielders and 5 outfielders to choose from. Were the Jays not in contention in August/September, those moves by Gibby would have been indefensible. But the Jays’ chances by then had long gone and they really had no other choice than to run Bautista and Goins out there every day. Although Diaz may be a step down defensively, I’d much rather take his bat over Goins’. The Jays scored the fewest runs in the AL last year and they need all the offense they can get.